Happy Wednesday everyone. I hope that your week is going awesome. Things in the Humble Mechanic are crazy right now. With the launch of 2 new video series, and a few other really fun things coming, we are full speed ahead. But enough about the crazy things happening, let’s do some Shop Shots! I always like to see what people come up with when tasked with a DIY repair. This is a repair on a 1.8t Beetle dipstick. It looks like they kept the original metal dipstick, and added a cap and cotter pin. I have posted several times about how VW diagnostic equipment is hilarious some times. Other times it’s awful. When something funny happens, I try and snap a picture for you guys. You know, so you can appreciate some of the goofy things we see. This is a test plan that came up for a fault. I didn’t look to see what fault was stored. It was most likely for the Carnet system, think Onstar, was not turned on. 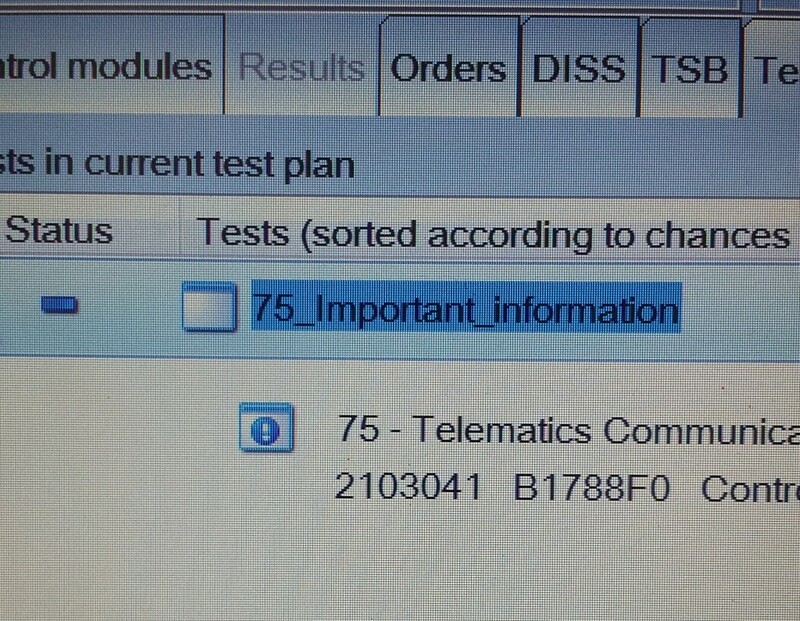 But the test the scanner wants to run, is to assist with “Important Information”. Seriously, you can’t make this stuff up. Well, that wraps up another volume of Shop Shots. I can’t believe we have done 77 of these. Actually, I think it’s more like 79. I may have messed up a few numbers over the years. Also be sure to check out the weekly series I am doing with my good buddy Rusty from Bench Racing Garage. There we talk about all aspects of the automotive world. 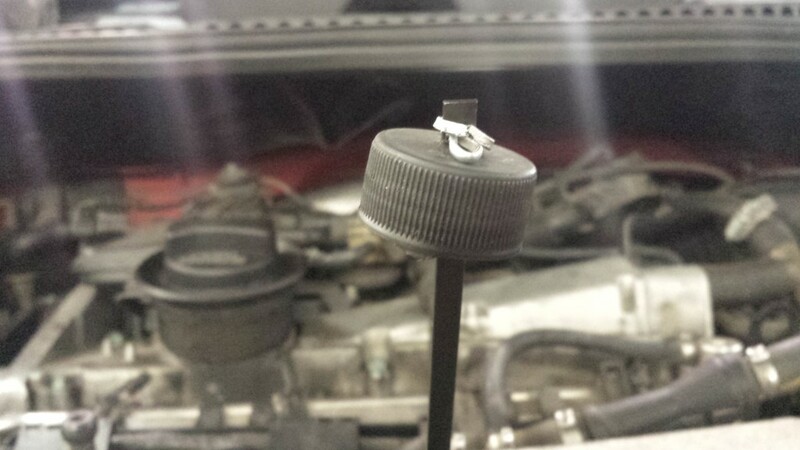 I’m always a little sad when most customers need a VW dipstick or dipstick funnel from me (parts department). Some people seem to break this dipstick, and it suddenly changes their entire opinion on the car (regardless if the car is 10 years old). 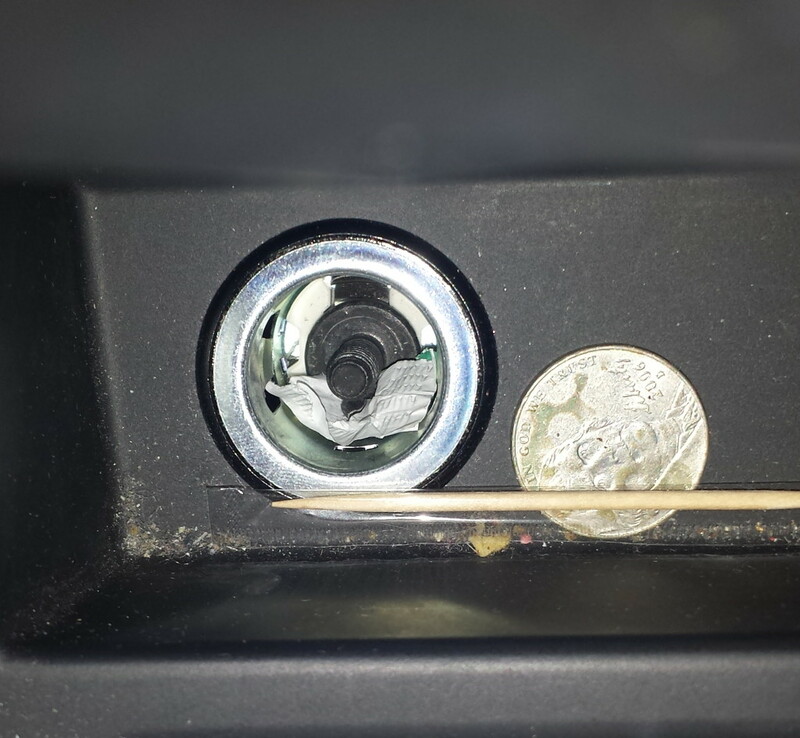 lol I have never seen a dipstick like that one though. If the customer has brought the car to the dealership, I hope they would have the money to replace it, lol 15 to 17 bucks. I wonder how much more common these things are at the ma and pa shops.